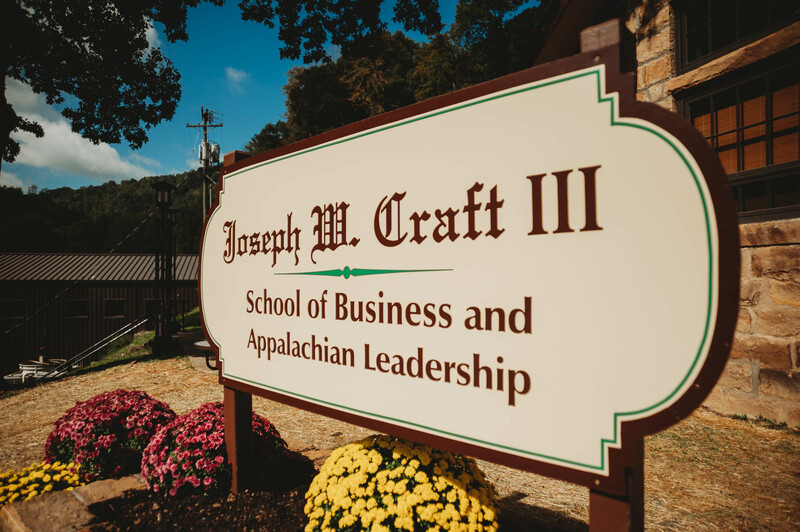 On September 18th, Alice Lloyd College held a dedication ceremony for the naming of the Joseph W. Craft III School of Business and Appalachian Leadership. Joe Craft, President and CEO of Alliance Resources Partners LP, attended and spoke to the students, faculty, and staff on his Appalachian upbringing and his personal insights into achieving success in life. Mr. Craft encouraged students to thank those who have supported them in their endeavors and stated, “I’ve been fortunate to be successful because of the people I’ve been around.” Additional comments were made by ALC President, Joe Stepp, ALC Executive Vice President, Dr. Jim Stepp, and Board of Trustees Chairman, Robert M. Duncan. Those in attendance were also greeted by United States Ambassador to Canada and Mr. Craft’s wife, Kelly Craft. Mr. Craft earned a Bachelor of Science degree in Accounting and a Juris Doctorate from the University of Kentucky, and he graduated from the Senior Executive Program of the Alfred P. Sloan School of Management at Massachusetts Institute of Technology. In addition to his extensive education and dedicated work, Mr. Craft serves in many industry and community positions where he is able to support the causes that he is passionate about such as education and social services. The majority of Mr. Craft’s resources are allotted to philanthropic causes and charitable organizations that uphold the standards of individual responsibility, economic freedom, and reducing poverty. The Craft School formalizes and integrates two important programs on campus: Business and Appalachian Leadership. The ALC Business Program has a strong reputation for excellence and is positioned to continue to produce exceptional graduates who will help change Central Appalachia. The Appalachian Leadership Program enhances our existing efforts to develop quality leaders for the region we serve. The program is comprised of four initiatives: 1) Leadership Education, 2) The Robert M. Duncan Mentoring Program, 3) The Honors Scholars Program, and 4) The Caney Scholars Program.